Does those pictures finally get your attention? Good. Erhm.. Back to the real topic. You guys know Yuru Yuri right? 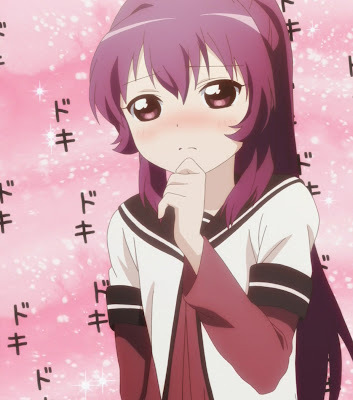 Well... My friend, sister, and I are a fan of Yuru Yuri. So we decided to cosplay as Ayano Sugiura, Toshino Kyouko, and Funami Yui. We already made the clothes. But the problem is.. THE WIG. Yes people, we cannot do Ayano Sugiura wig and WE NEED YOUR HELP. If you know how to make Ayano Sugiura wig or.. how to make a high ponytail wig please send me an e-mail or even give me the link to your (or someone's) tutorial. You can also give me a video tutorial.